Today I repost this from 2013, partly in response to two things which I saw on social media, from conservative Catholics about the Novus Ordo. Here, Fr Richard Heilman wishes that the Ordinary Form be celerbated like 'the actual Mass of Vatican II'. This turns out to be a reference to the 1965 liturgical books, which may have been celebrated during the latter part of the Council, but certainly isn't what the Council wanted the Mass to be like. Here, John Allen quotes a priest praising the new translation because it faithfully renders the Latin prayers, 'considering the antiquity and universal usage of these prayers'. But very few ancient Latin prayers survived unscathed into the Novus Ordo. I just wish conservative Catholics would be serious and honest about the Ordinary Form and the reform. It is what it is: there is no point pretending it is something else. Dominican Rite: lining up side by side, not, as with the Roman Rite, one behind the other. Water and wine added to the Chalice (at High Mass) during the Gradual and Alleluia, not at the Offertory. 'Although I agree with much of what Fr Leo Chamberlain says (Letter, April 1), especially about the the effects of relativism on religious faith and practice, I do not see how he can seriously maintain that the new Roman rite is in accordance with tradition. 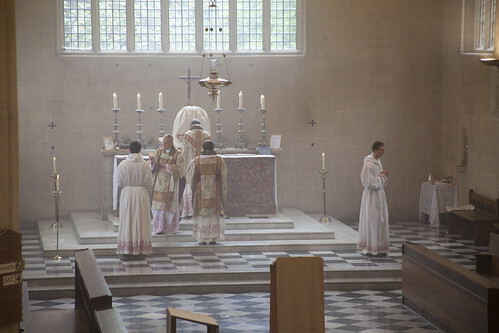 In the Roman tradition Mass is celebrated in Latin: in the New rite it is normally in the vernacular. In the Roman tradition the celebrant faces East: in the New rite he almost always faces versus populum. In the Roman tradition there is a single annual cycle of readings: in the New rite there is a triennial cycle. In the Roman tradition the non-Gospel readings are recited or sung by an ordained minister; in the New rite they are recited by a layman. In the Roman tradition there is a single Eucharistic Prayer; in the New rite there are many. In the Roman tradition Holy Communion is received kneeling, on the tongue, from an ordained minister; in the New rite is it generally revived under both kinds, standing, in the hand, and often from a lay minister. 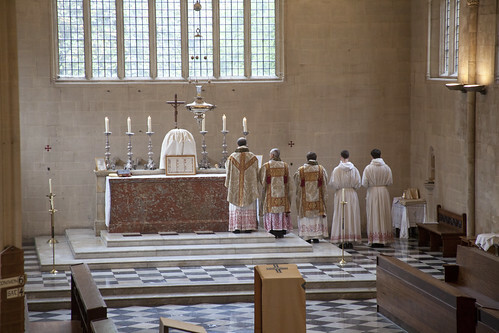 In the Roman tradition the service of the altar is restricted to males; in the New rite it is open to both sexes. One could go on and on listing the differences, if space permitted. Thurible raised and lowered, not swung. It is sometimes said that continuity is preserved in part because many of the innovations listed are not obligatory. It is possible to celebrate the Novus Ordo entirely in Latin, with male servers, ordained readers, and the like. But comparing rites is a matter of comparing the body of rubrics, texts, and rules, and common practice, and those rubrics, texts, and rules, and the common practice, are radically different. It is would be absurd to deny that the Mozarabic Rite was a separate Rite because, under some options under some peculiar liturgical circumstances, it can be said in a way quite similar to the Roman Rite under another set of options and peculiar circumstances. It is different because of the differences. The Kiss of Peace administered using a 'paxbrede', not an embrace. And of course the very fact that there are all these options is another radical break with the tradition of the Roman Rite. The priest can never choose between languages, Eucharistic Prayers, Prefaces, or readings, in the Roman liturgical tradition. This is an extremely important part of that tradition, which is essential to the character of the Traditional Mass as something given to us by the Church, not thought up on the spot by a liturgy committee. Finally, when saying they are different one should bear in mind the kinds of differences which as a matter of course justify scholars in saying that the Byzantine and the Maronite Rites, or whatever, are different Rites. Obviously they are all rites of Mass. Obviously they all have important features in common - the features common to all rites of Mass, or to many of them. The differences may even seem subtle, if you leave the language of the Mass aside. There are re-arrangements of some elements (when i the Pax takes place, for example); some things are added in one and excluded from another. They are all good and pious rites of Mass, they are just different. The Novus Ordo, it has often been pointed out, is more different from the 1962 Mass than the latter is from a number of Rites which are nevertheless agreed to separate Rites. Hoods raised processing in and out. I am of course very familiar with the argument in favour of continuity, and the people making it are often doing so for noble reasons. We must remember, however, that the greatest exponent of the 'hermeneutic of continuity', Pope Benedict XVI, was also the man who did more than anyone to make the reality of the liturgical rupture part of the respectable debate. 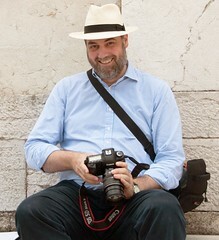 The hermeneutic of continuity is not about denying the fact of change before our eyes; it is about accepting the tradition stretching into the past as a living part of the Church's patrimony, which conditions how we understand the teaching of the Second Vatican Council, and indeed the rest of our experience. 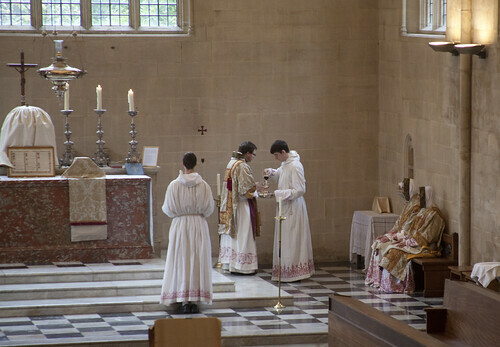 Photos: High Mass in the Dominican Rite. The question of whether the Dominican Rite and the Roman Rite are really separate Rites, or whether the former is a 'Use' of the latter, is debated, on historical grounds: where did the Dominican Rite come from? But these are the kinds of differences which are significant between one Western Rite and another. Radically different? It depends, I suppose, on what you think is radical. Following a different pattern of Scripture readings is hardly radical seeing it is still the Liturgy of the Word in much the same form as it used to be; it is merely extended and made more representative of Scripture as a whole. Most of the differences listed are differences in the way the mass is celebrated, but they do not make it a different rite as such. 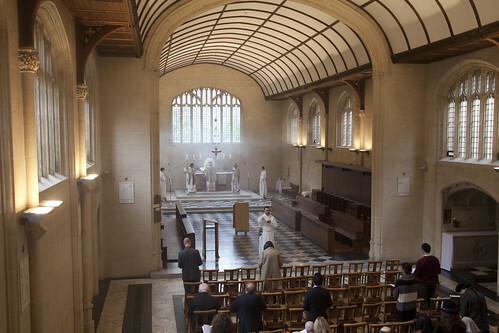 (In Jerusalem not long ago I attended mass in the Greek Catholic Church - now there is a different rite, with a different structure and much different content). Traditionalists, I find, constantly exaggerate the alleged discontinuity between EF and OF and routinely denigrate the latter, largely it seems because they want to convey that they are the true Catholics for preferring the older form. (It looks as if this kind of divisive superiority has been one of the problems with the Franciscans). Yet Pope Benedict, in 'Summorum pontificum,' says they are two usages of the one Roman Rite, the OF now being the normal form while the EF is, precisely, an extra-ordinary form. Is that not sufficient answer to those who question the authentic quality of the OF? The 1970 Lectionary is radically different from the 1962 Lectionary. You don't deny that by saying they are both *Lectionaries*, for heaven's sake. 1. In the first place, a lectionary is no small matter. The ancient rites employed one year lectionaries; the various Latin Rites and Uses employed frequently similar sets of readings. A rite that had a three year lectionary with few readings in common with those in the other Latin Rites would have been considered to be quite different in this respect. 2. 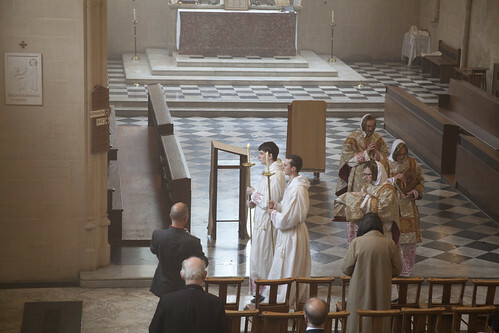 The aspects that Philip Goddard points to can, indeed, be altered in many cases to follow traditional practice, i.e., celebration ad orientem, reception of the host only kneeling and on the tongue, use of only EP1 (the Roman Canon) etc. But when such practices are so rare as to be virtually nonexistent, it's fair to ask if these things don't represent a feature, not bugs - indeed, perhaps an essential feature. It is much easier to locate an EF Mass than a "tradded up" OF. 3. But all that aside, there are essential differences in the missal text itself which cannot be avoided no matter what options one takes. The offertory has been radically overhauled. The gradual and sequence have been replaced by a responsorial psalm. The Prayers at the foot of the latar have been completely suppressed, as has the Last Gospel. Psalm 42 has been completely replaced with a short greeting. The Introit is replaced by an entrance antiphon. The Gloria is shortened. Nearly all of the 52 Sunday Collects from the year have been changed. Preparatory prayers for the Gospel suppressed. Bidding prayers introduced. Lavabo prayers severely truncated. Acclamation formula added after the consecration....one can go on and on. Setting aside the merit of such changes, there's no question that the changes were made, and the result is a quite different rite. And it is a rite with a significantly different theological orientation, in its ordinary, propers, and readings, as scholars like Lauren Pristas have shown in recent years. P.S. "Yet Pope Benedict, in 'Summorum pontificum,' says they are two usages of the one Roman Rite..."
He did indeed. That's what the law now says, post-2007. But many of us might regard that as a polite juridical fiction, one which we understand the political reasons for undertaking. One which we are bound to respect as a matter of Church law, but one which is not very intellectually convincing. Yes, they are two usages of the Roman rite. That is not sufficient to make the OF 'Roman' in any meaningful sense. If, today, by order of the Pontiff, Byzantine liturgies exclusively began to be celebrated in every Roman church, that would not make the Byzantine rite thereby culturally Roman, would it? The pattern of readings chosen is different, yes, but it is all still Scripture, for heaven's sake! It is the same Word of God speaking to us in both. It is the same Word of God speaking to us in both. And yet - not quite the same. After all, the Consilium did not merely pile on new chunks of Scripture to what was already there. The readings already present for the Epistle and Gospel were radically changed even beyond what was needed to add two more years of readings. Some passages were dropped entirely because they were considered "difficult" or embodying "negative theology," 1 Corinthians 11:27-29, which appears three times in the EF Lectionary, but not once in the OF Lectionary. It not just the "pattern of readings" as if the only change were the insertion of an additional reading and the re-naming of a few parts. They are altogether different readings, organized along different lines, to elucidate different theological insights. Yes, of course, "it is all still Scripture" -- it is still Scripture that is read in the Byzantine rite, but that is not sufficient to make Romans of Byzantines. Why even bring up such a thing? I cannot imagine why you are so invested in Romanitas that you feel the need to redefine it altogether to appropriate it for your liturgical preferences. Why not just be honest? You do not care for Roman-ness or what Roman-ness has always and everywhere been understood to mean: you prefer something different. Fine, OK, just be honest about it. According the Motu Proprio Summorum Pontificum the Ordinary and Extraordinary Form of the Roman Liturgy have the same lex orandi, lex credendi. Thus regarding the lex orandi, lex credendi of the Roman Liturgy both Liturgical forms expresses the Depositum Fidei in distinguished manner, whereby the Ordinary Form would be set up as a reformed expression of the Extraordinary Form. Therefore, without questioning the validity of both Liturgical Forms of the Roman Liturgy a comparison and discussion about both distinct expressions of the lex orandi, lex credendi with regard to the Depositum Fidei might be legally. Obviously, such comparative study of the Collects of the Roman Missals can be found by L.Pristas (2013), “The Collects of the Roman Missals, a comparative study of the Sundays in Proper Seasons before and after the Second Vatican Council”, Boomsbury T&T Clark, ISBN 978-0-567-03384-0] whereas she mentioned a policy change by Dumas “The Church universal of the present day becomes Church of our time and objective expressions present-day precepts or customs has become the subjective expression present-day needs”. Precisely due to the interactive working of the law of lex orandi, lex credendi whereas the lex orandi of the reformed Liturgy has been released from a strict form of rubrics, such drastic and very consistent changes on at least eleven topics of the Depositum Fidei in the reformed lex credendi of the Roman Liturgy has paved the road of practicing misuses at the actual lex orandi. Hereby the weakening and disappearance of elements of the Depositum Fidei from the (daily) prayers of the H. Mass seems to function as a kind of self-censorship to let these elements disappear from the faithful’s mind systematically. Another example of this phenomenon can be found at the first part of the second Offertory prayer of the Extraordinary Form ‘O God, Who wonderfully formed the dignity of human nature, and more wonderfully restored it.‘ This part of that prayer has been removed from the Sacred Liturgy with the liturgical reform of 1970 while the prayer is expressing the fullness of the doctrine of Faith very well. This prayer is expressing that due to the first Sin by Adam the Human Dignity of all mankind -so wonderfully made by God- has been wounded and that God has restored the Human Dignity more wonderfully through His Son, our Lord Jesus Christ by His Crucifixion and that we can participate in it only through the water of the Baptism and the wine of His Blood as he is the Door to Heaven. This part of the prayer has simply been removed without any replacement. Why, for what reason would this fundamental witness of Faith has to be expressed by a malformed expression in the reformed Roman Liturgy? Why might this reference to the wounded Human Dignity regarding the mankind outside the Church has to disappear from the daily prayers by the priests in the reformed expression of the lex orandi, lex credendi? If it is foolish to "centre" on the readings then the question must be asked why so much energy was expended on revising them. There is really no criticism in this regard which can be leveled against traditionalists which cannot be leveled even more effectively against the innovators who sinned against them in the first place. I agree. Me to. I usually take my EF missal and read myself. The various lay people in the sanctuary are not in any sense of the term ministers, unlike the choir I understand? And of course the priest! My wife & I even go so far as to undertake the readings at OF Masses at the specific request of the Little Sisters of the Poor for whom we volunteer. This, at least we hope it does, gives proper attention to the readings & proves that, although vociferous traditionalists, we accept the total validity of properly celebrated OF Masses. I really have little time for those on either side of the liturgical divide who denigrate those who do not agree with them. Would you like to edit Mass of Ages? What sort of Mass did 'Vatican II' want?